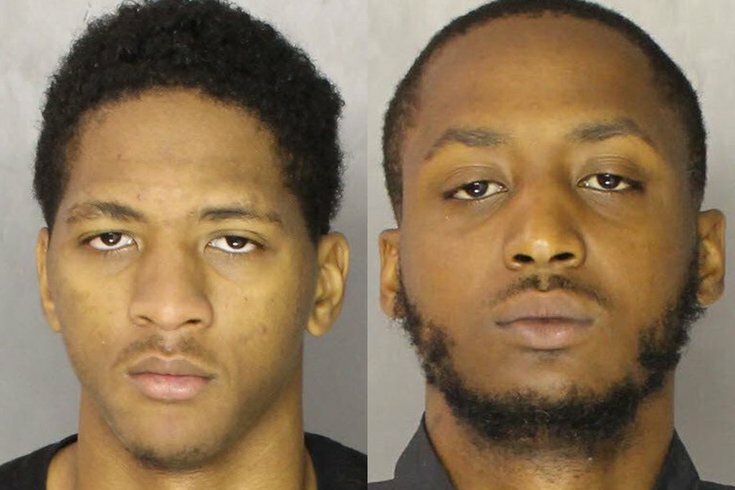 Tyrell Jacobs, 23, left, and Tim "TJ" Jacobs, 24, are charged with first-degree murder, conspiracy and related charges in the death of Eric Brown in West Chester. Authorities are searching for two men – on the lam and considered armed and dangerous – for their alleged involvement in Tuesday night's killing at the Star Social Club in West Chester. Officials on Thursday announced homicide charges had been filed against Tyrell Jacobs, 23, and Tim "TJ" Jacobs, 24, believed to be half-brothers, for the murder of 26-year-old Eric Brown. Both men, who are known to frequent the West Chester and Coatesville areas, are charged with first-degree murder, conspiracy and related offenses, according to Chester County District Attorney Tom Hogan and West Chester Police Chief Scott Bohn. "This senseless murder was captured clearly on surveillance video. The defendants, both with guns, assaulted and killed an unarmed victim inside the Star Social Club. Both defendants are on the run, with police tracking them down," Hogan said in a news release. According to a criminal complaint, Brown was playing basketball in West Chester, and afterwards went to the club at 212 E. Market St., shortly after 9 p.m. Almost immediately, the co-defendants arrived at the Star and began to engage with Brown, the complaint alleges. There were multiple witnesses to the exchange and the interactions between the men were captured on multiple surveillance video cameras, the complaint states. The complaint alleges that Jacobs and Jacobs argued with Brown in an attempt to draw him into an altercation before throwing several punches at Brown, then attacking him. Brown fled from the men inside the club as they chased him, brandishing firearms, the complaint states. Brown attempted to escape through a back door, not realizing it led into a small room with another door that is locked from the outside. Both co-defendants followed Brown, with Tyrell Jacobs first entering the small room where Brown was trapped, according to the complaint. With TJ Jacobs at the door of the room with his gun out, Tyrell Jacobs fired a shot into Brown's chest just about five minutes after they had arrived at the club, the complaint alleges. 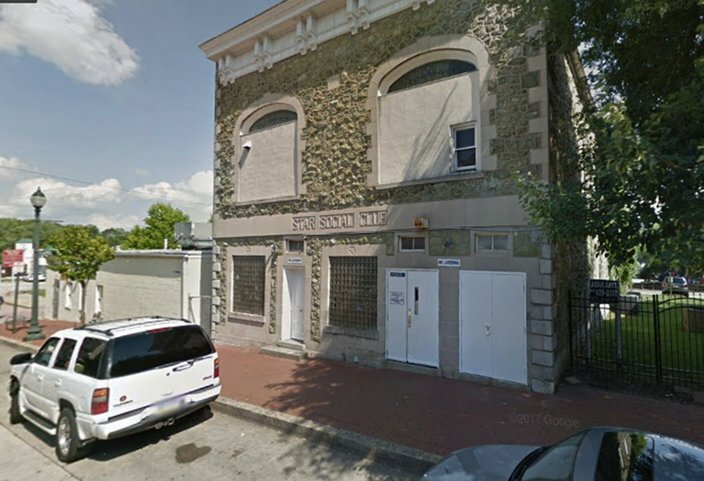 The Star Social Club at 212 E. Market St. in West Chester. Brown collapsed and TJ Jacobs immediately fled out of the club through the front door. Tyrell Jacobs attempted and failed to leave via the same locked back door and then fled out the front of the Star, according to the complaint, with the men getting into different vehicles and leaving the area. Brown was transported to Paoli Hospital, where he was declared dead, authorities said. Neither Tyrell Jacobs nor TJ Jacobs possess a license to carry a firearm, according to authorities. Anybody with information about the defendants' whereabouts should contact West Chester Detective Bob Kuehn at (610) 696-2700 or Chester County Detective Jim Ciliberto at (610) 344-6866.